The Eurocom Uno 2.1 is a space saving all-in-one desktop system that offers solid Core i7 performance and a massive storage. You can configure the Uno 2.1 with a variety of Mobile Core i5 and Core i7 CPUs and up to 32GB of RAM. There's room for up to three hard drives and you can have a blu-ray drive installed as well. Our system was configured with a 2.4GHz Mobile Core i7-3630QM processor, 8GB of DDR3-1600 RAM, a 120GB mSATA drive and a 1.5TB, 5,400rpm storage drive, and an Intel 802.11 a/g/n and Bluetooth Wi-Fi adapter. It also came with Windows 7 Professional, although you can have any version of Windows 7 or Windows 8 preinstalled. Thankfully, the system is free of bloatware. The Uno performed admirably on our PCMark 7 productivity benchmark test. Its score of 5310 led the pack, with the Vizio 27-inch All-in-One Touch PC coming in second. Results were similar on our Cinebench R11.5 CPU test; the Uno racked up a score of 6.41 to the Vizio's 6.09, while the Asus ET2701INKI-B046C led with a score of 7.08, thanks to its faster CPU. When it came to our video and photo encoding tests the Uno went toe-to-toe with the Vizio AIO with only one second separating the two on both the Handbrake and Photoshop tests. Graphics performance was on par with other AIO's that use Intel's integrated HD Graphics 4000 solution. 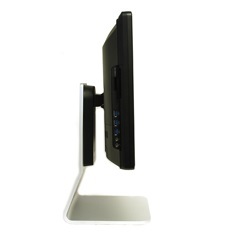 All-in-one desktop PCs are ideal for users who work in cramped quarters and need to maximize what little desktop real estate they have. With the Eurocom Uno 2.1 you get a Core i7 system that delivers solid productivity performance and is outfitted with a hybrid drive configuration with lots of storage capacity.